Toptalers, freelancers, and remote professionals in the Columbus area: let’s get together and catch up. You are invited to join the local Toptal community and our guests for good coffee and excellent conversation, February 9 starting at 11am. 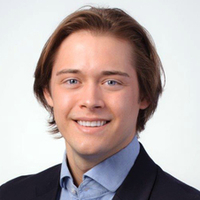 Your host will be Lucas Strick, a Sales Engineer with Toptal. All Toptalers and prospective members are welcome, so feel free to bring a guest. It’s a great opportunity to talk about Toptal and get to know your colleagues. Please RSVP on this page to give us an accurate headcount. For questions, please contact Lucas directly. Your message to Lucas was sent.